Saturday, March 1, 2014 — Once again today we enjoyed a slower pace. We had only two commitments today; early this afternoon I enjoyed sharing with the wives and fiancees of the men from the Baltic Pastoral Institute and this evening Steve and I get to attend the national opera with Peter and Baiba. 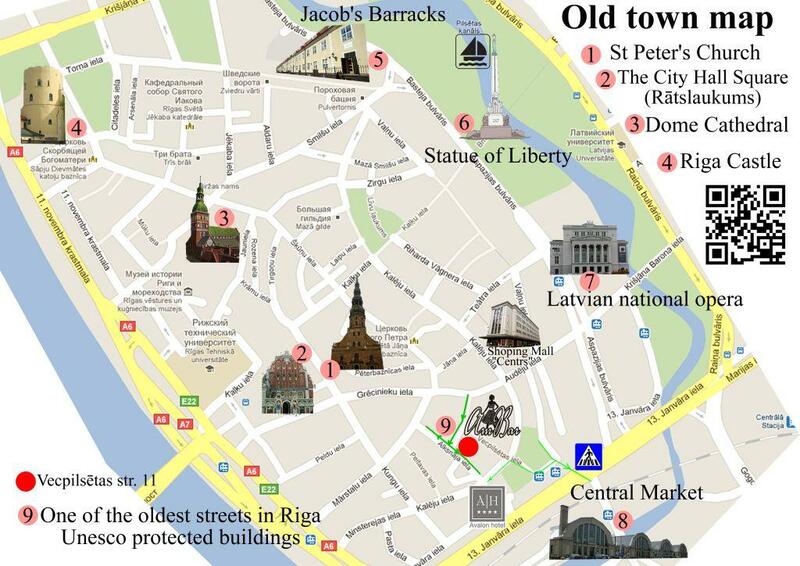 Steve and I are just beginning to feel comfortable with finding our way around Old Town Riga. We learned earlier in the week how to get through Old Town and to the Baltic Pastoral Institute (BPI), but finding our way around where Chuck lives has been a challenge. We walked around a bit this morning and had lunch at a little Italian place with good pizza for Steve and good salad and soup for me. On the map below, we are located very near the Domed Cathedral. After lunch Steve walked me part way to the BPI where I met with the wives and fiancees and he went on to the Museum of the Occupation of Latvia. Latvia was occupied from 1940 through 1991 first by the Soviets, then by the Nazi’s and once again by the Soviets. The Occupation was a very hard time and there are many still alive today who remember gaining freedom. What is happening in the Ukraine is disturbing for Latvians. It raises their fears about losing their freedom and coming then again under Russian rule. If you’d like to know more about the Occupation, please check out the museum site link below. I loved sharing with the wives and fiancees of the Pastors from BPI. I’ve been in the place these young women find themselves and I spoke a word of encouragement to them. Then they asked questions! I hope and pray that what I shared in answer was an encouragement to hang on and to trust that God can provide them all they need for life and godliness. Soon we head to the opera. I took some pictures as I walked by there today because tonight it will be dark. I think Steve is even looking forward to this new experience! I also included some random pictures from last night and today. Enjoy! A couple in the park – on the way to the opera perhaps?